Led by Dr Hugh Sharpe, Katanning Dental are a professional dental care team who provide a comprehensive range of high quality general, cosmetic and advanced dentistry services to the Katanning area and its surrounds. We excel in offering a wide range of dental care options to meet the oral needs of all patients, whether it be families or individuals. Our philosophy centres around preventative care, as our goal is for our patients to have healthy smiles and regular appointments. However we are always here to help you if you need to restore your smile as well! We strive to ensure our patients receive professional and personalised service with first class care. That's why we're committed to using the latest technology and modern procedures so your visit to our dental practice is as comfortable, relaxing and quick as possible. 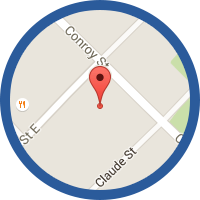 Contact Katanning Dental Centre today and schedule your next dental assessment appointment. We look forward to building a professional and warm dental relationship with you based on trust and understanding, and will answer any queries you may have regarding your dental health care needs. Katanning Dental Centre is now QIP accredited. For more information about what this means for you, click here. Whilst Katanning Dental Centre is a Bupa Members First practice and also a preferred provider for HCF, we do accept all other private health insurance funds. Through the convenience of HICAPS, you can now claim from your private health insurance on the spot at Katanning Dental Centre. If individuals are met with unexpected dental treatments, the pressure can be stressful and nerve-racking. At Katanning Dental Centre, we proudly accept health funds to ensure that our patients do not have to worry about these stressful and unavoidable situations. Additionally, for any payment that you make to our practice, for your convenience, we accept cash, credit cards, cheques and EFTPOS. If you are a member of a health fund, you are only required to pay the difference (*conditions apply and will depend on your level of cover). Simply bring your card and we will be able to process your request within a few minutes using our HICAPS machines. Katanning Dental Centre is a bulk billing practice. Please click here for more information surrounding the Child Dental Benefits Schedule. 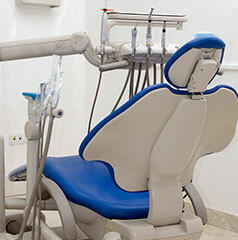 Click the links below for more details on the services provided at Katanning Dental Centre.